Pop is an American basic cable and satellite television network that is operated as a joint venture between CBS Corporation and Lions Gate Entertainment. The network was originally conceived in 1981 as a barker channel service providing a display of localized channel and program listings for cable television providers. Later on, the service, now branded as Prevue, began to broadcast interstitial segments alongside the on-screen guide, which included entertainment news and promotions for upcoming programs. After Prevue´s parent company, United Video Satellite Group, acquired the entertainment magazine TV Guide in 1998 (UVSG would in turn, be acquired by Gemstar the following year), the service was relaunched as TV Guide Channel (later TV Guide Network), which now featured full-length programs dealing with the entertainment industry, including news magazines and reality shows, along with red carpet coverage from major award shows. Following the acquisition of TV Guide Network by Lionsgate in 2009, its programming began to shift towards a general entertainment format with reruns of dramas and sitcoms. The network was renamed TVGN following the acquisition of a 50% stake in the network by CBS Corporation. At the same time, as its original purpose grew obsolete because of the integrated program guides offered by digital television platforms, the network began to downplay and phase out its program listings service; as of June 2014, none of the network´s carriage contracts require the display of the listings, and they were excluded entirely from its high definition simulcast. 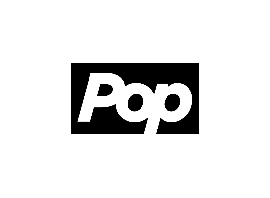 In 2015, the network was rebranded as Pop, a general entertainment network focusing on popular culture. As of February 2015, Pop is available to approximately 75,255,000 pay television households (64.7% of households with at least one television set) in the United States.